Amidst a fall in the value of all construction contracts in 2018, the residential sector had the highest proportion of contract awards by value, notes industry analysts Barbour ABI. 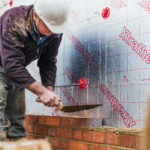 The value of all construction contracts awarded in the UK in 2018 was £61.6 billion – a decrease of 13.1% on the previous year. The number of contracts awarded also continued on a downwards trend with 10,352 awarded during 2018, a decline of 8.2% on 2017. The figures are revelaeed in the latest edition of the Economic & Construction Market Review from industry analysts Barbour ABI. The residential sector had the highest proportion of contract awards by value in 2018 with 37% share – an increase of 2% on 2017. Infrastructure was the second largest sector for contract awards in 2018 with 21% share, a decrease of 9% on 2017. Barbour ABI predicts that infrastructure will remain strong in 2019 and beyond due to the commencement of HS2 projects in the rail sector with further investment in electricity distribution and generation also forecast to continue.